I’m delighted to be on Just Romantic Suspense and share my latest release, ECLIPSE LAKE. I’ve always enjoyed writing books that play heavily on character relationships. That’s particularly true when it comes to family dynamics. In all the books I’ve written you’ll find a strong emphasis on a particular family tie, severed by conflict, eventually restored. I like putting my characters through the wringer, tearing them apart, then paving the way for reconciliation. Two items that blend well with that storyline are romance and mystery. In my latest, release, ECLIPSE LAKE, I introduce my readers to two brothers, Jonah and Dane, who have been estranged for fifteen years, living on separate coasts. That’s suited both of them fine until the younger brother, Dane, attempts to fulfill a vow made to his late wife. For the sake of his adopted son, he decides it’s time to make peace with Jonah. But returning to his hometown—a sleepy community tucked on the banks of a resort lake—places him dead center in an unsolved missing person’s case. Ellie Sullivan, a photojournalist on assignment in Eclipse Lake, finds herself falling for Dane despite the secrets he harbors. Why does he avoid talking about his past and what he does for a living? How is he involved in the disappearance of a local girl who went missing fifteen years before? Why does his brother treat him so coldly, and the town sheriff react with hostility at the mere sight of him? 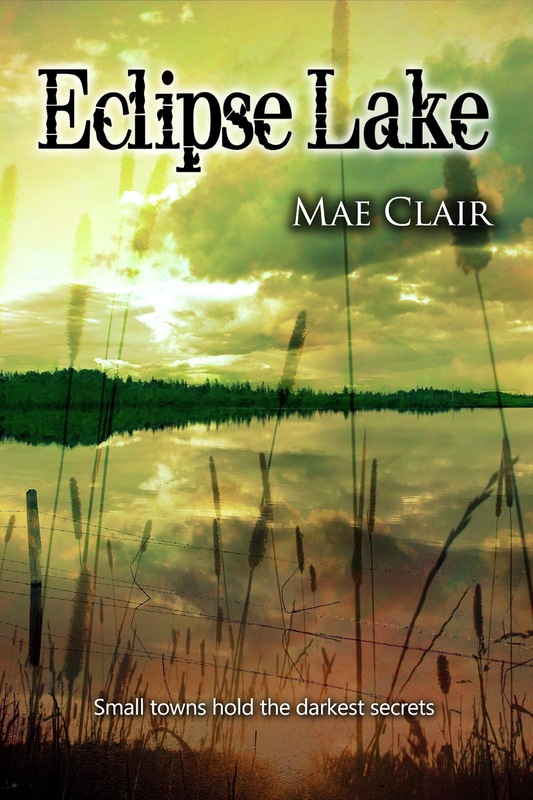 At its heart, ECLIPSE LAKE is a mystery/suspense and a romance, but it’s also a book about healing and forgiveness. About family ties, overcoming obstacles, and believing in the better good. I’m delighted to share it today. Small towns hold the darkest secrets. Fifteen years after leaving his criminal past and estranged brother behind, widower Dane Carlisle returns to his hometown on the banks of sleepy Eclipse Lake. Now, a successful businessman, he has kept his troubled past a secret from most everyone, including his seventeen-year-old son. But memories in small towns are bitter and long. Ellie Sullivan, a nature photographer for a national magazine, has a habit of ping-ponging across the map. Her latest assignment leads her to Eclipse Lake where she becomes caught up in the enmity between Dane, his brother Jonah, and a vengeful town sheriff. When freshly-discovered skeletal remains are linked to an unsolved murder and Dane’s past, Ellie is left questioning her growing attraction for a man who harbors long-buried secrets. “I get by.” He took her hand and started walking again. She sent a speculative glance in his direction, recognizing evasiveness when she heard it. He was wearing a Rolex, and though dressed casually, clearly had expensive taste. Yet he’d booked an ordinary cabin rather than one of the exclusive chalets higher up the mountain. She liked the feel of his fingers around hers, warm and firm. The contact sent a pleasant tingle up her arm. What the hell was wrong with her, getting caught up in his touch as if it were magic? As if she’d waited her whole life for that sensation. He had skeletons in his past, a brother who couldn’t stand the sight of him and a sheriff who wanted to run him out of town. Eccentric, or just plain trouble? Mae loves creating character-driven fiction in settings that vary from contemporary to mythical. Wherever her pen takes her, she flavors her stories with mystery and romance. Married to her high school sweetheart, she lives in Pennsylvania and is passionate about cryptozoology, old photographs, a good Maine lobster tail and cats.
. Wishing you all the best with your new release, Mae! I'm sure Eclipse Lake is as compelling as two others of yours that I already gobbled, Solstice Island and Weathering Rock. Wonderful blurb and excerpt. Dane and Jonah--and Ellie of course--are going to provide some great emotional entertainment for readers, as have the characters in your previous books. Rock on! Hi, Flossie. Thank you so much to those kind words. I really grew attached to these characters and hope others will love their story like I do!